FabGrandpa and I love to cook out, but we really like our charcoal grill. This RVQ propane gas grill was included in the purchase of our travel trailer back in December of 2006. It has been occupying the space under our bed ever since then. It has never been taken out of the box, so it is brand new! 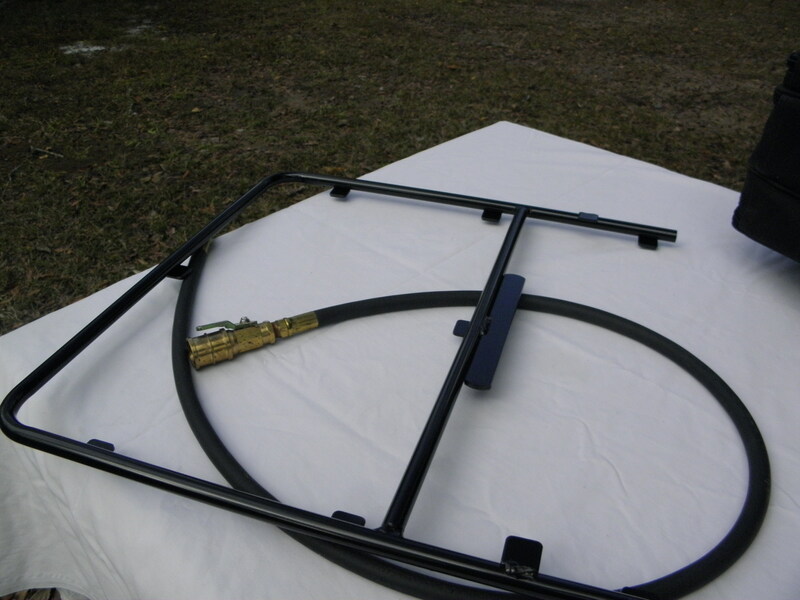 This auction includes the complete grill, a connector hose, and a rack for attaching it to the side of your RV. 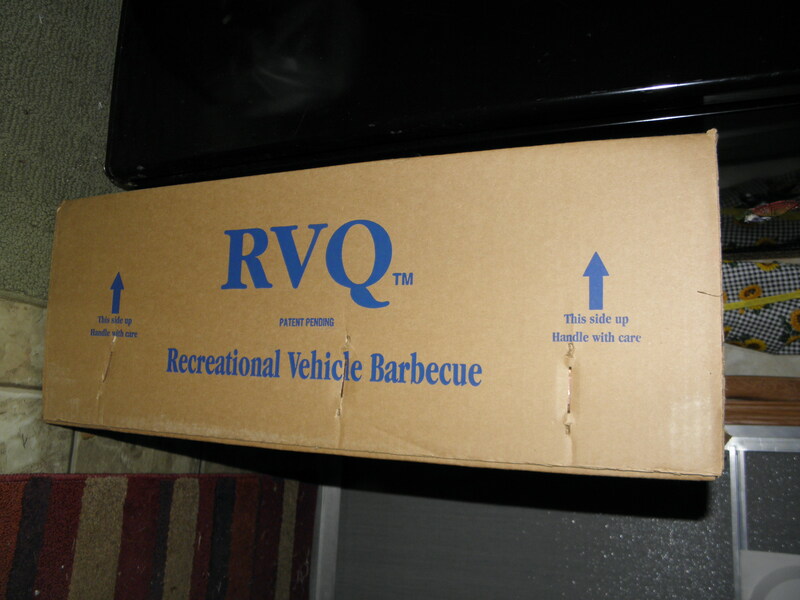 This particular model is no longer made, but the RVQ that is currently for sale online retails for $179.80. I am starting the bidding on it at $25. To bid, leave a comment with the dollar amount. Comments without a dollar amount are not counted as bids in this auction. See the auction rules here. This auction is to benefit The Oral Cancer Foundation. 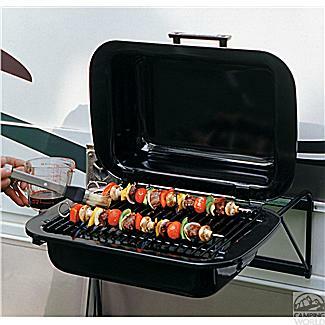 Only gas grill of its kind, exclusively designed for campers and RV enthusiasts. Dimensions: 22.5″ x 14″ x 8.5″. It says the grill weighs 24.8 pounds, but it seems heavier than that when we pick up the box, so there may be some fire bricks in there too. I don’t know because we haven’t looked. I only opened the box to put the connector hose in it. Still in the original packaging, ready to go. Shipping charges are estimated based on shipping from Alabama to California, which is the farthest zones for UPS, FED EX, and the post office. Shipping prices start around $16 and go up, so keep that in mind when you bid on this heavy item. If you want to check on shipping prices for yourself, using your own zip code, here are the dimensions of the package: 19” X 28” X 10” and weight is approximately 35 pounds with the hose and rack. If you’d like to spread the word about this auction and help me raise money for The Oral Cancer Foundation, please tweet about, post about it on Facebook, or write about it on your blog. I’d really appreciate it!